Broncos Darius Boyd: Australia's Next Fullback? 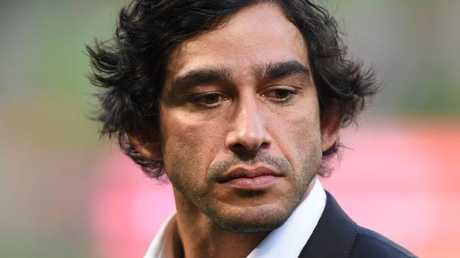 JOHNATHAN Thurston has been caught dropping an apparent F-bomb during the Kangaroos' historic acknowledgment to country before their World Cup opener against England. The Kangaroos have been widely praised for delivering an iconic moment in Australian sport as they mixed a traditional welcome to country with an Indigenous Australian cultural presentation and an ode to the key values the team has come to represent under coach Mal Meninga. But, Thurston had an unfortunate moment where he appeared to forget the words to the ode he was delivering during the live international broadcast of the Rugby League World Cup opening ceremony. Johnathan Thurston let one slip. The team began its historic cultural performance by gathering into a circle with their arms around each other as captain Cameron Smith knelt down within the circle, hidden from the AAMI Park crowd and the English team - which had formed into a line on the other side of the half way line. Smith then jumped up to his feet as his teammates took a knee around him before declaring: "We as kangaroos acknowledge and pay respect to our traditional owners". "We welcome all nations to our country for this World Cup." The entire Kangaroos team then spoke as one along with Smith to declare: "And we will rise as one". 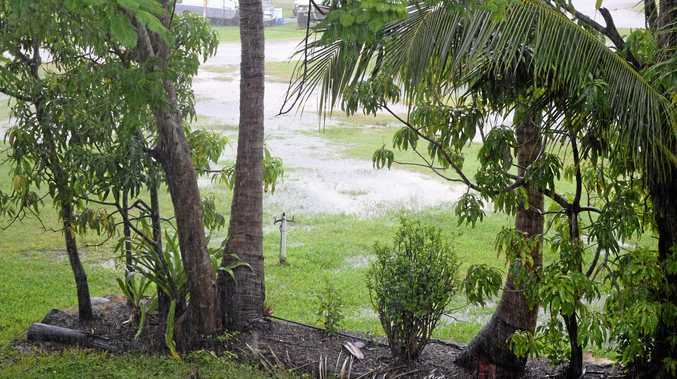 As they said it, the Kangaroos players also jumped back to their feet before spreading out to make a new formation. 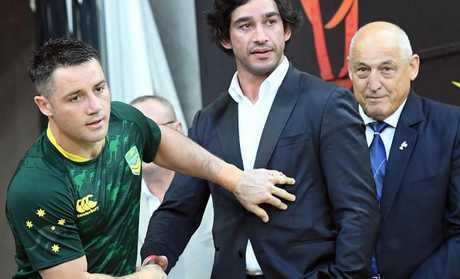 From that moment Thurston, who was also on the field, dressed in a formal suit and holding a microphone, took over the performance, speaking as the Kangaroos players formed a chevron turned towards the English team. As they took their positions, Thurston began to speak. "Like the coat of arms on our heart...," he said before appearing to forget the exact phrase he wanted to use before eventually, after a small delay, continuing to speak. Channel 7's microphones picked up Thurston saying the word "f***" as he desperately tried to remember the right words to say. After the brief delay he eventually found his place. "Like the chevron on our chest, we will be selfless in victory," he said. "We are from different backgrounds, but we strive for excellence and will rise united. The entire Kangaroos team then said as one: "We are Kangaroos". You can hear his slip-up at the 1mins 23sec mark in the video below. Thurston's unfortunate slip-up was barely audible, but it was still a conversation starter among fans. Despite Thurston's minor blemish, the historic acknowledgment to country was hailed a resounding success by rugby league commentators. That was outstanding! Well done! Thurston earlier explained how he helped inspire the Kangaroos' first-ever acknowledgment to country.